Smartphone ownership in many countries has reached almost universal levels. A recent UK report showed that 96% of 16-24 year olds have a smartphone. 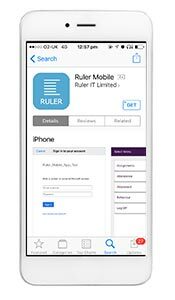 For customers with the standard and plus versions of Ruler Classroom and for customers with Ruler Parent Plus then information can be shared through our mobile App. It’s available for iOS and Android based devices, In early 2017 all but 0.4% of phones sold were either iOS or Android. 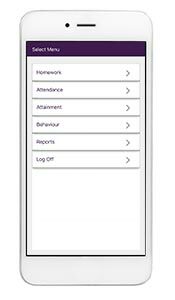 Students are able to quickly check whether they have any outstanding tasks on the device that is with them almost constantly. Feedback from customers is that this facility is very popular with students. The App is available to anyone with an iOS or Android device from the appropriate App store. The images shown here are from an iOS device. Users will need credentials that will provided by the school. Where the use has outstanding tasks they will presented as shown in the final picture.